stoked to bring it back to Rocky in 2018! 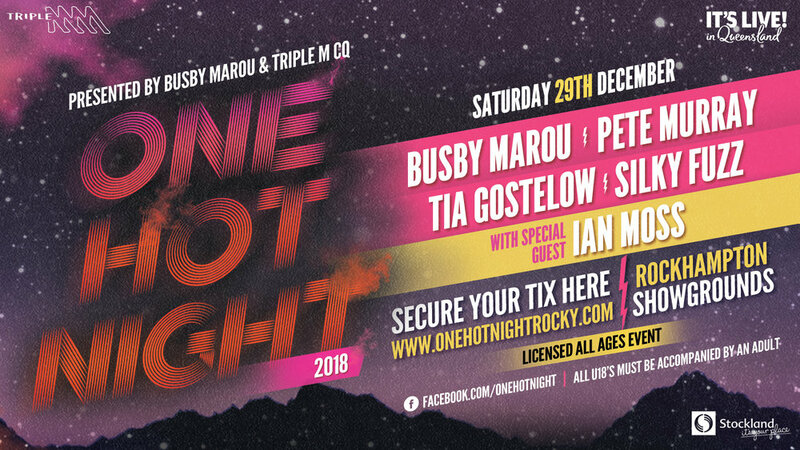 ONE HOT NIGHT is set to become a signature event in Rocky’s calendar. BUSBY MAROU has put together an all-time line up featuring friends and well-respected musicians alike. The event is a licensed, all-ages event to be held under the Robert Schwarten Pavillion at the Rockhampton Showgrounds to be held on Saturday 29 December 2018. The event will also offer a huge selection of food trucks and an outdoor dining area.